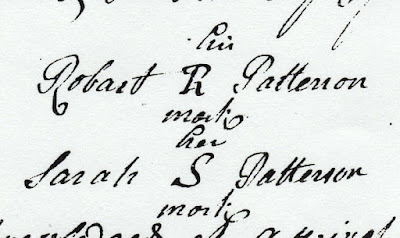 Robert Patterson (b. 1705/11; d. 1775 York Co SC): His Mark "R"
(* The numbers were revised from 57 to 64 on May 27, 2016; and to 65 on Aug 17, 2016; and to 88 on 30 July 2018; and to 90 on 21 Aug 2018) Using the chain of records that have been discovered as of this writing, we have been able to piece together some 90 records of varying types in court houses in DE, VA, NC and SC. 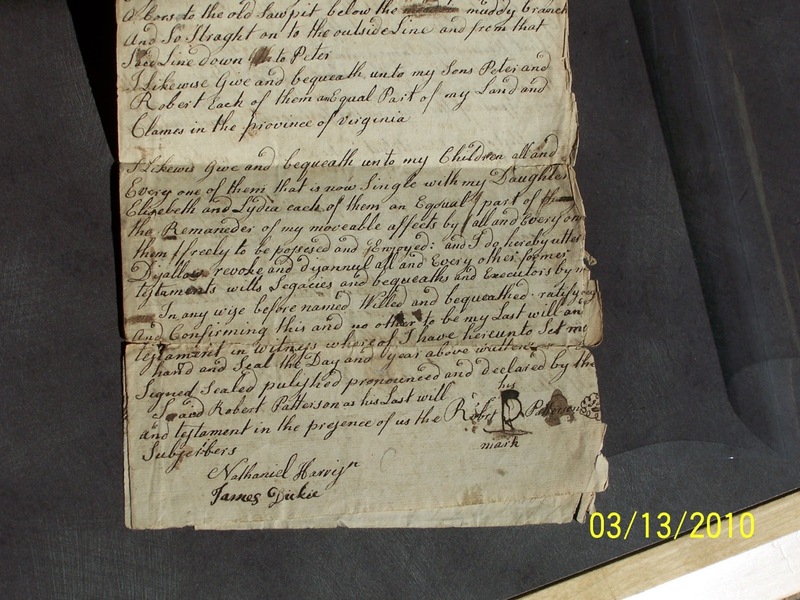 The earliest known record so far is from 1732 in DE. 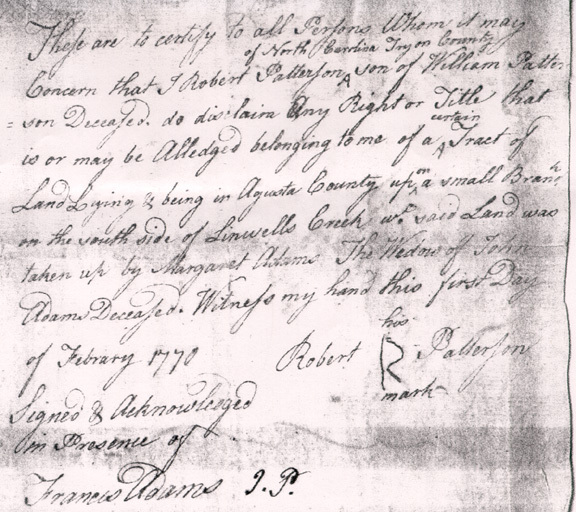 The latest known record so far is from 1825 in Rockingham Co., VA which was a later deed involving Robert Patterson's old Linville Creek land, a deed which contained a reference to him, albeit posthumously. 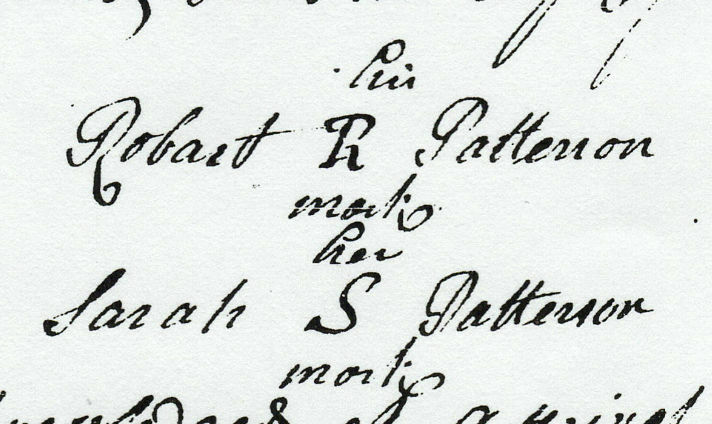 His "R" mark, however, was a vital clue in linking his Delaware records to the Virginia records. 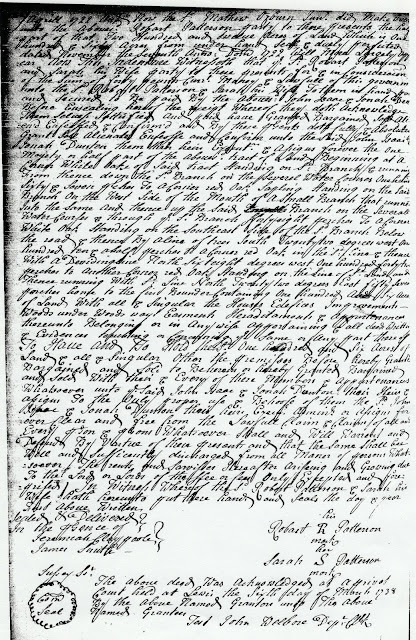 67 records in VA have been proven so far. Another eight from SC, four from NC, and nine from DE, make up the 90 in total. Expect more to be found and/or proven in the future. The most recent set of 23 records were discovered in the personal records of Thomas Jefferson (the President) from his days as an attorney in Augusta Co VA from 1767-1774. 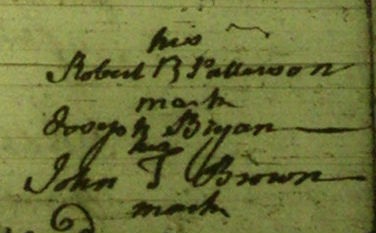 These 23 records pertaining to Robert Patterson were across three different court cases during 1767-1770. 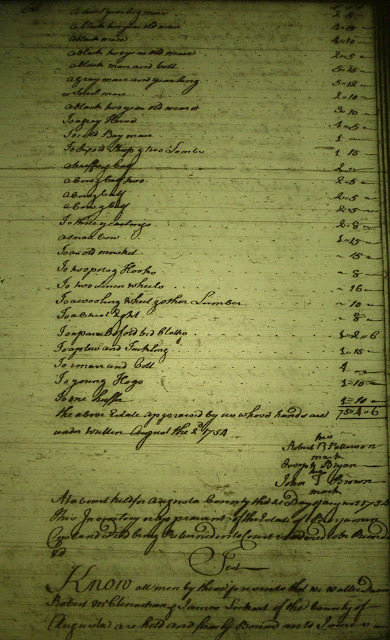 Jefferson's records are published in what is known as the Memorandum Books.